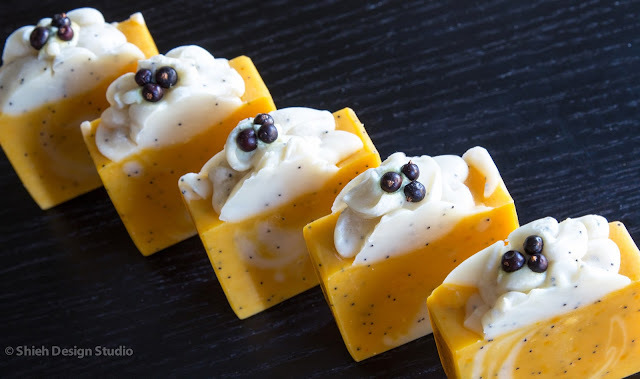 I forgot to mention that one of my lucky readers can receive a free copy of soapqueen's new book, Soap Crafting, from her publisher as part of the celebration. 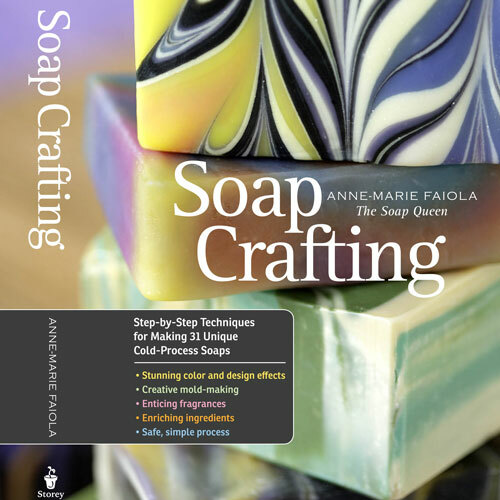 It is a hardcover professional looking soaping book filled with simple and clear instruction to make 31 different soaps. Don't worry, lots of colorful photos included! Don't worry, very simple, just leave me a comment under this post in the next week period and I will randomly draw 2 lucky readers. First prize is a free copy of the new book, 2nd prize will be a bar of soap made by one of the recipes. Unfortunately this is only for US, no international participants, sorry! Remember, deadline is next Wednesday, September 4th! Soap made with banana coconut milk produces lot of bubble, creamy thick bubbles. Who would not like that?! 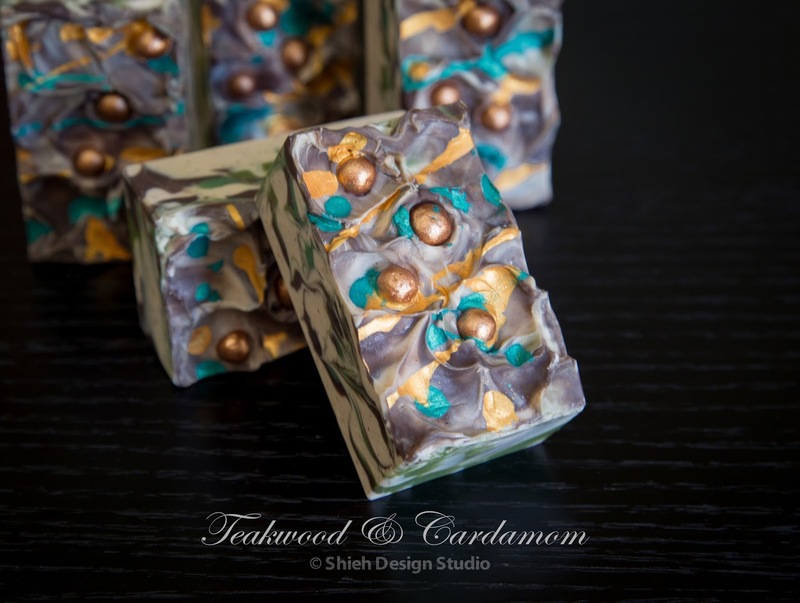 I had very high hope for this 3rd and final trial run of my future live video soap session I plan to offer. My 2nd trial went really well with only a couple small hick ups that I thought I had everything figure out. 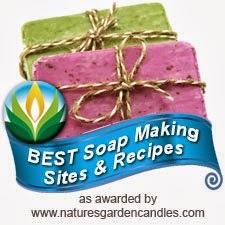 About 2 months ago I was invited to be a guest blogger for Soap Queen's new book Soap Crafting blog tour series. 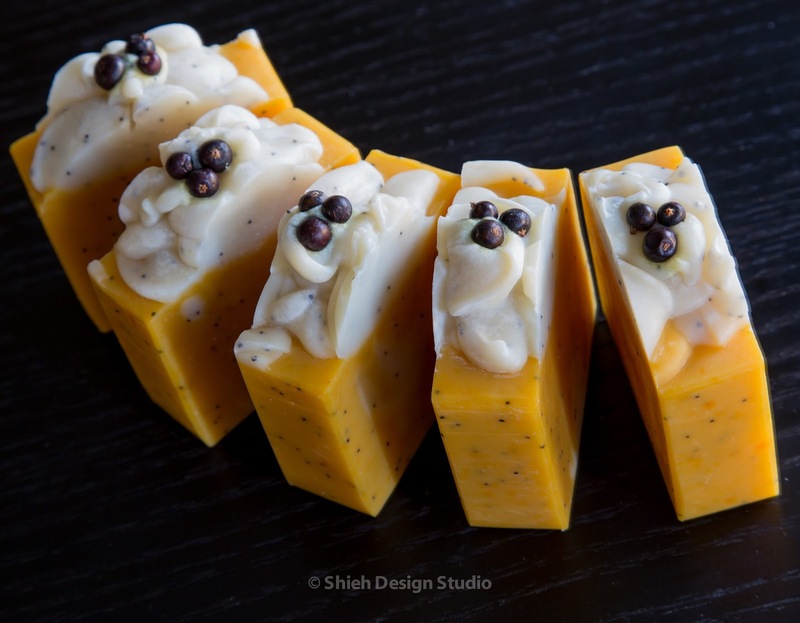 Soap Crafting is a new book that shows how to make cold process soap from introductory basic to more intermediate/advanced design techniques and specialty soaps. 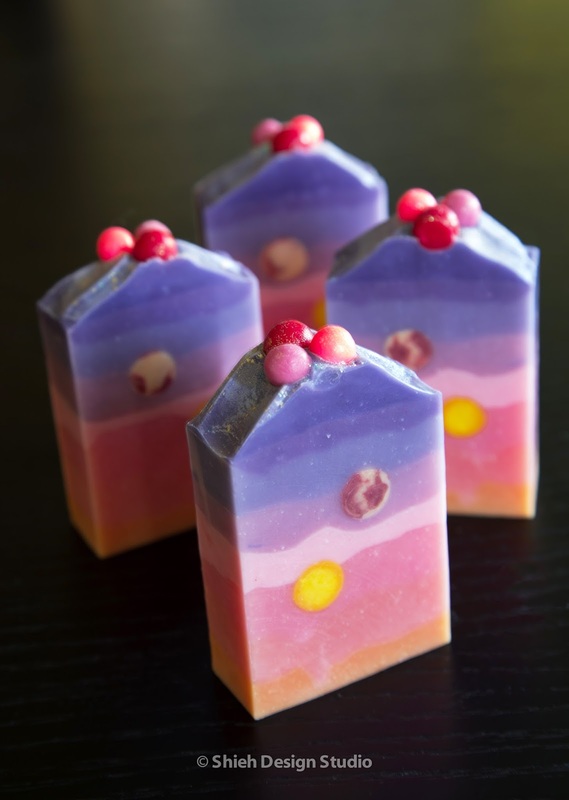 It also talks about using different soaping colorants and additives. Instructions are simple, clear, and come with lots of beautiful photos, very easy to follow. 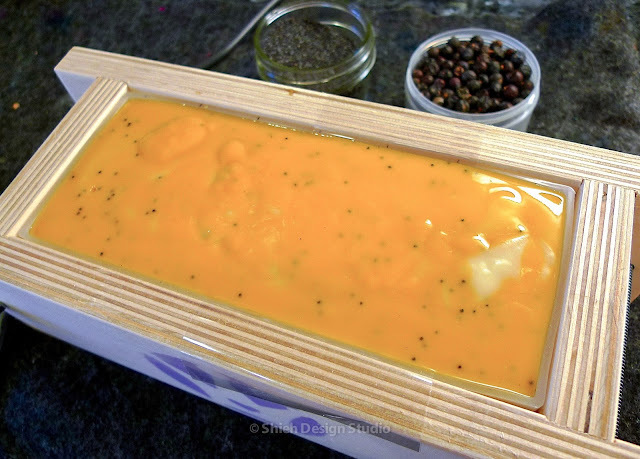 With this book you can make 31 different cold process soaps! If you are interested it is available now on Brambleberry Don't forget to check it out! 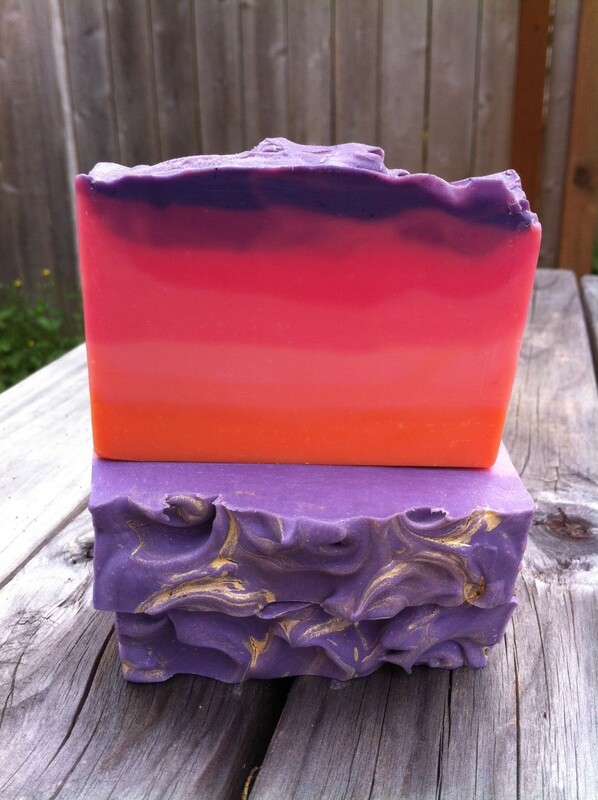 I'm very excited to be able to test out one of the soap in the book. Since I soap mostly with artificial fragrance and vibrant colorants I chose to try something I don't do often, using natural colorant and essential oils. 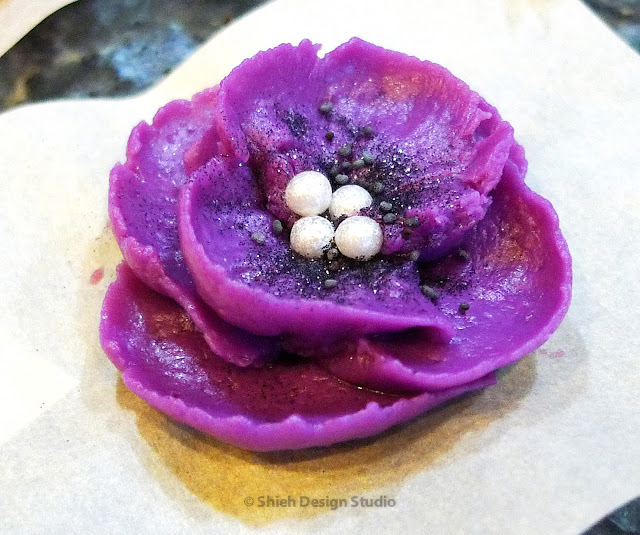 Brambleberry is kind enough to sent me all the ingredients to soap including a small 2 lb mold with silicone liner. I admit, I didn't totally follow the instruction included... I'm a little restless that way. I wanted a very saturated bright golden yellow. 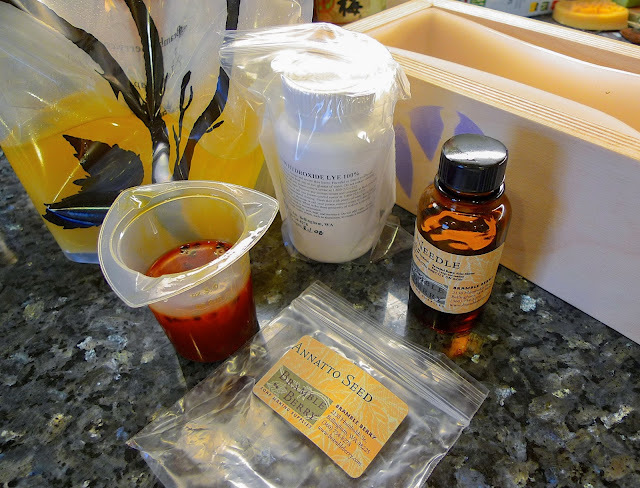 Instead of following the instruction to warm infuse the annatto seed in additional 5 oz of almond oil. 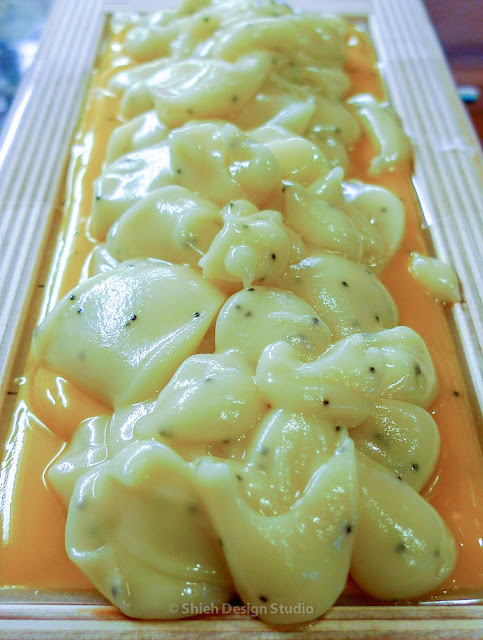 Instead, I heat infused the whole bag of annatto seed with a small amount of the soaping oil. Can you see the intense orange in that small plastic measuring cup? 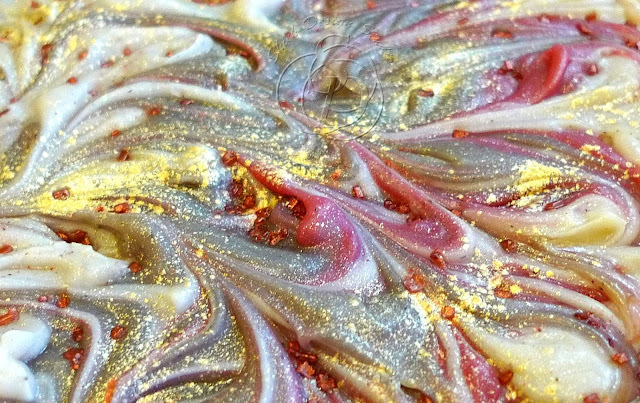 I planed to use the whole amount into the soap for the deepest golden yellow I can get. 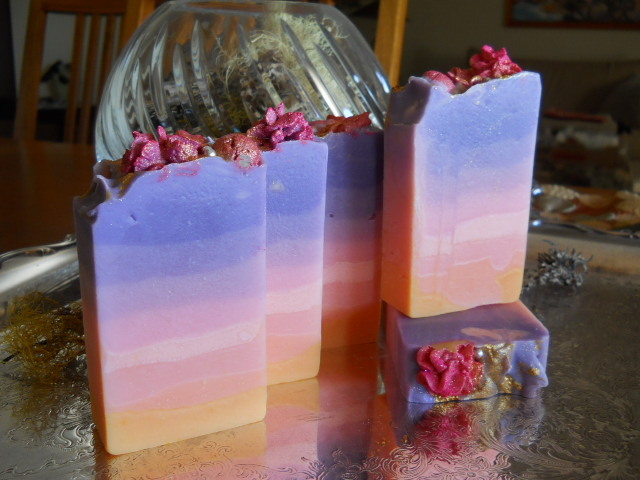 Also, I've never done a single note scented soap, I like mixing scents. I felt the fir needle essential oil is a bit too camphor for my nose, I ended up add some sweet orange 10x and rosewood essential oils to round it up. 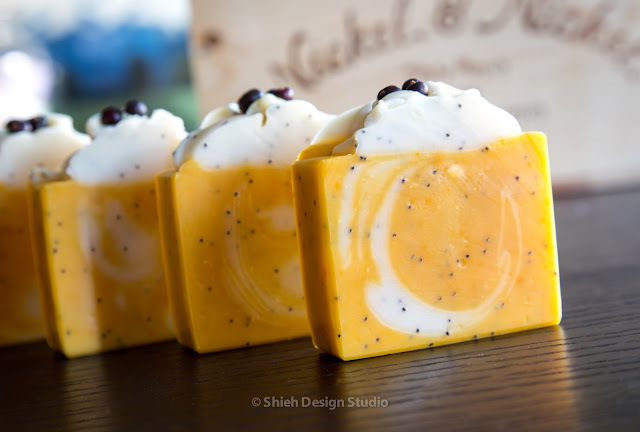 Sweet orange adds that extra juicy sweetness and rosewood grounds the mix as a base note. 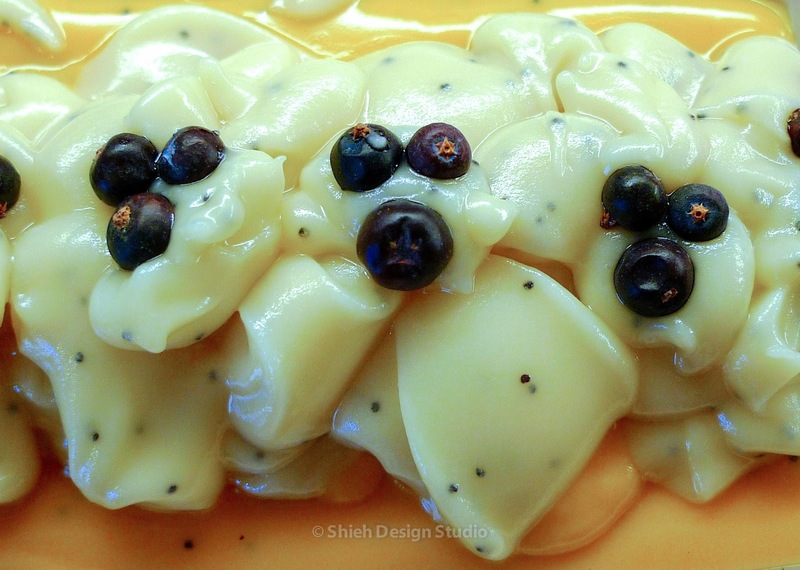 I also mixed in some poppy seeds for texture and a little scrubbiness. I reserved a portion of soap batter without coloring it with annatto to create some color contrast. 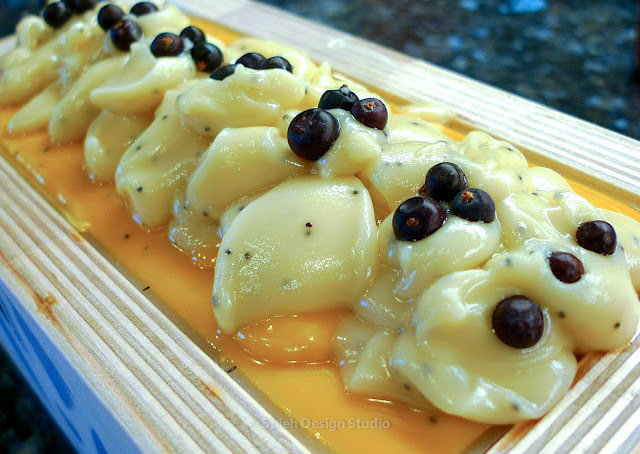 Topped off with some dried juniper berries. 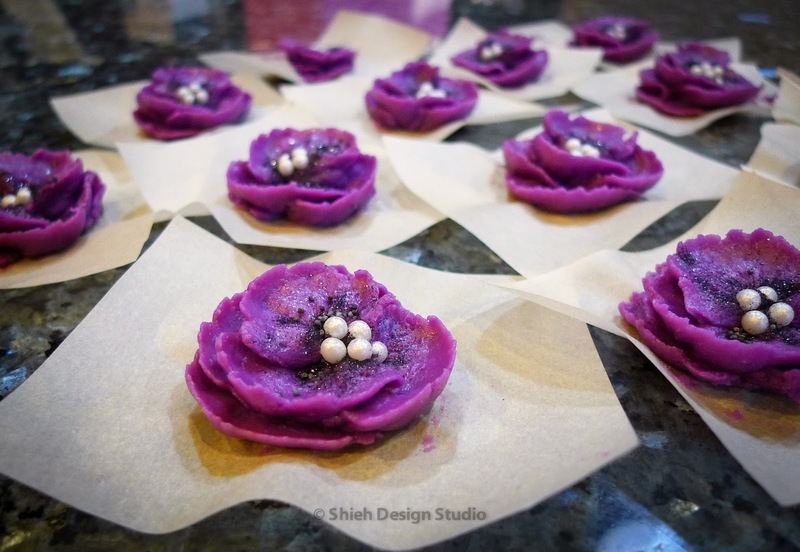 It took a little longer to harden than my usual recipes. I usually don't use that much liquid for lye solution as stated in the book. But silicone liner really made it easy to release the log. The recipe is very easy to work with, plenty of time for even fancy swirl. The natural vibrant gold yellow from annatto seed is holding up very well, unlike turmeric I used once a while back, faded to caramel after cure. If you are looking for a good natural golden yellow colorant annatto seed is the best. 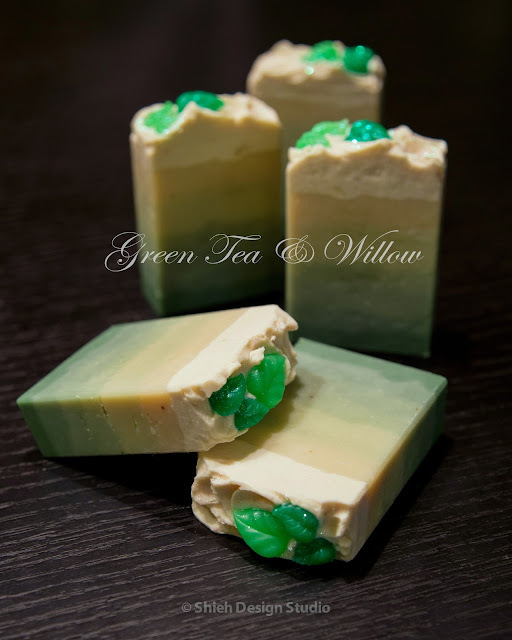 And this is my interpretation of Soap Queen's natural colorant recipe, what's yours? 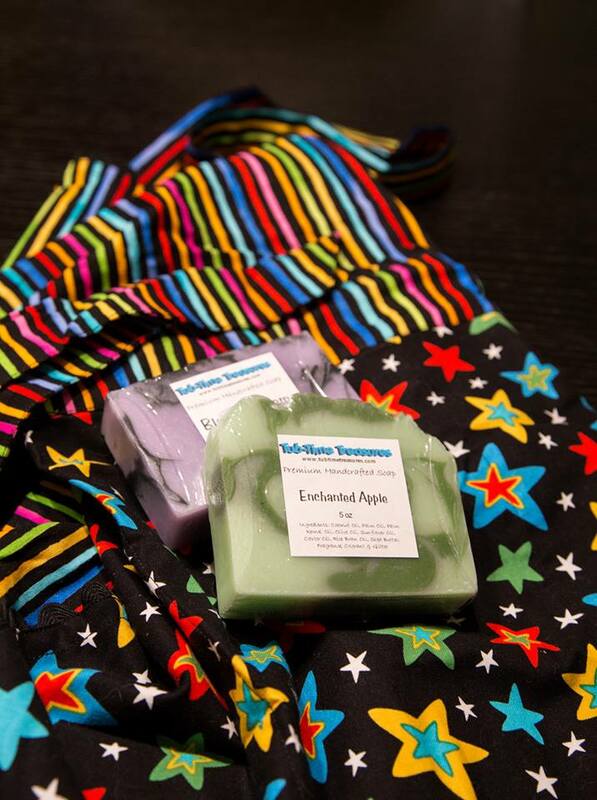 It can be very competitive in our soaping community, it is indeed a small world after all. But as competitive as we can be, soapers still can be so cute and generous! Out of the blue one night my husband came home and handed me a small package. He gave me this silent eyeball rolling expression like he was asking me what I bought again for my soaping obsession. Question marks quickly filled my head, I didn't remember buying anything recently so what can it be?! Renee from Tub-Time Treasures sent me this one of a kind hand made apron because it reminded her of my colorful soaps, it would suit me so much better than the oversized "King of the Grill" apron my husband bought. I have not been making soaping video for a long time but this really inspired me to get one done! 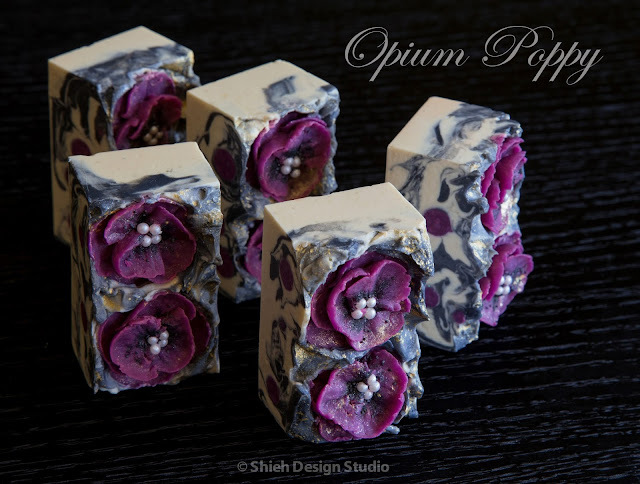 Of course I already pipped these opium poppy a day before. 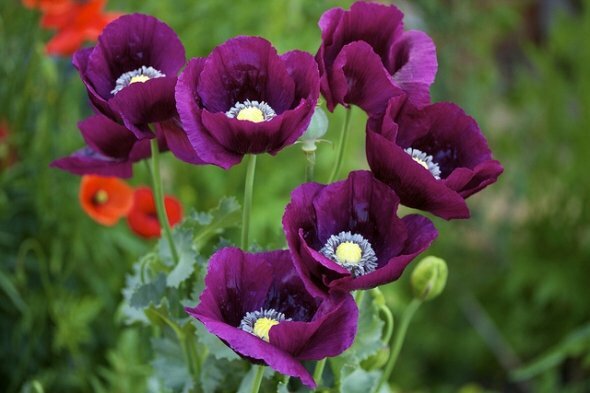 This is the photo I based my opium poppy color from, did I do a decent job?